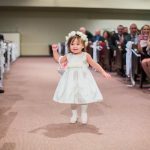 Last month, we tackled the topic of kids at weddings. Today, we turn to one of the most stressful aspects of wedding planning: the budget. 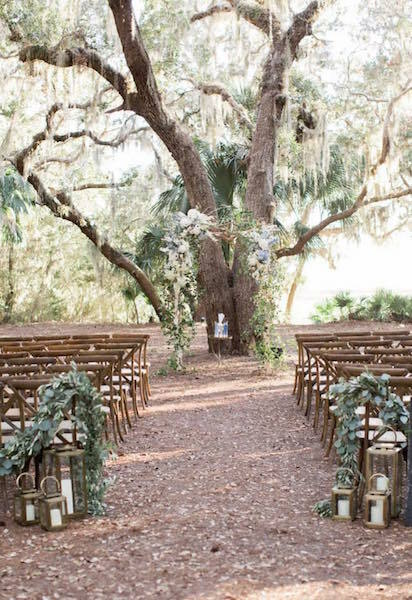 In the world of Instagram and Pinterest, we’re surrounded by wedding inspiration, and many brides feel the pressure to plan the perfect wedding. But if you can’t splurge on every aspect of the big day (and who can, really? ), which elements will give you the most “bang” for your buck? 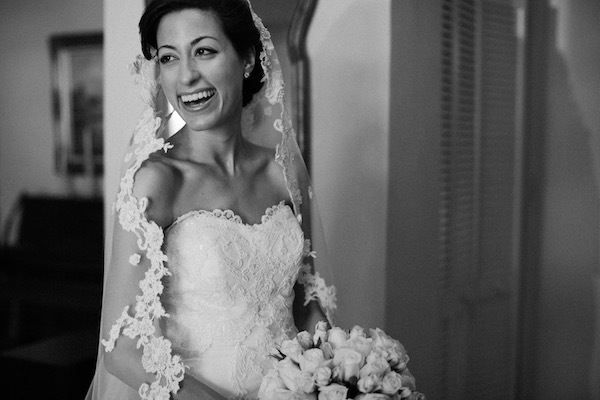 Today, our real life brides share which items are truly worth the splurge. And because we’re realists, we’ve also thrown in a few tips on areas you can save to make spending room in your budget. PHOTOGRAPHER. It’s what lasts forever after the wedding is over. I wouldn’t trade anything for a quality, experienced, professional photographer. –Camile L.
Splurge on your videographer. Love being able to watch the day over and hearing exactly what we said. –Alyson R.
No question: photographer and videographer. [Our son] Elias watches our wedding video now and loves it! And it’s so nice to watch it over and over again. 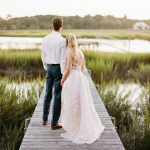 –Melissa M.
Photography is our splurge! 100% worth it to have someone who can not only take beautiful pictures, but hit the big moments and strongly direct the family group pictures. 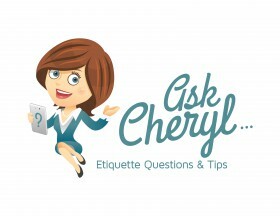 –Gayle L.
Trying to make room in your budget for photography and videography? 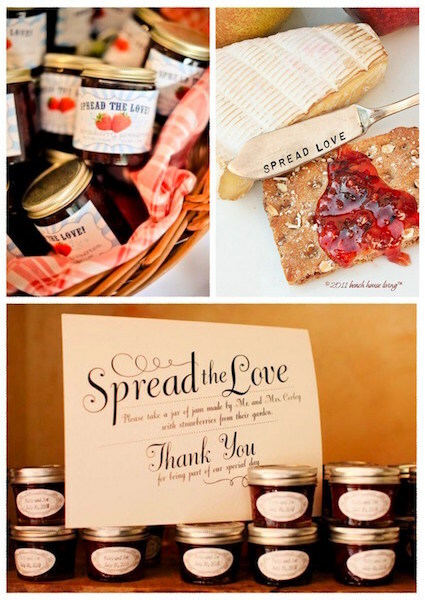 Splurge for those lasting memories by saving on something that is often forgotten: wedding favors. Sometimes, guests forget to take them home, and many just sit unused after the big day. I have a box of favors from weddings that I don’t know what to do with! –Krystal C.
Feel free to skip favors all together, but if you really want your guests to take something home, I recommend something you can create yourself—and personally, my favorite favors are edible. Check out this post for some DIY wedding inspiration (scroll to the bottom for favor ideas). A few brides report that while it’s great to get a bargain on a dress, one thing you should never compromise on is the alterations. Splurge on seeing a seamstress at a bridal shop—this isn’t the time to trust the nice lady at the dry cleaner who hems your work pants. Remember that photographer you splurged on? You want them to capture you in a dress that fits you perfectly—no gaps or slipping straps! While you should stay at the bridal salon for alterations, head online to find your other bridal accessories! Shoes were cheap online, and my veil is $30 online, vs. $400 in the bridal salon. $400 for a length of tulle seemed a bit much. 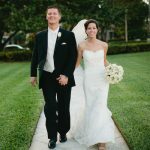 –Gayle L.
Your veil is also the perfect “something old” or “something borrowed.” I borrowed my mom’s veil for my wedding, and I have friends who wore each other’s for weddings only a few months apart! 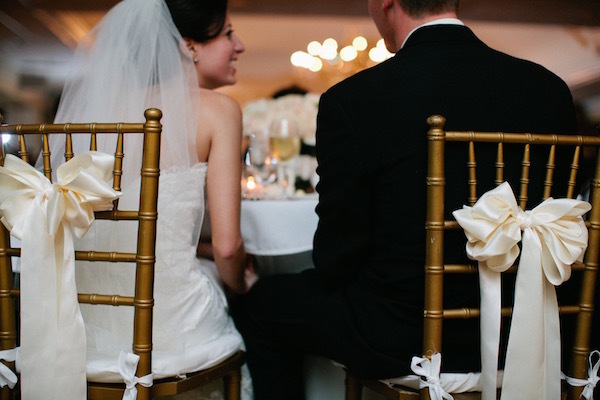 No matter where you hold your reception, these beautiful gold (or silver) chairs go a long way to fancying up the room! You might be tempted to cut this out of the budget, but trust us—splurge on the rental! I’m honestly so glad we spent on gold chivari chairs, it helps dress everything up!—Catie W.
It’s not necessary to provide an open bar throughout the reception. 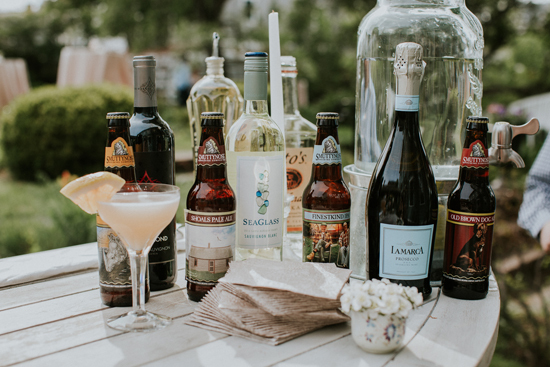 Try serving up a signature cocktail, or, if your venue allows it, bring your own beer and wine. My husband and I don’t drink and our venue only allowed beer and wine, so it worked out perfectly. We got tons of beer and wine options from Costco. We were able to return like $150 worth the day after the wedding. Everyone still had a great time and we didn’t have the additional cost of hard liquor. –Camile L.
Your bouquet is going to be the center of attention, so splurge on your favorite blooms and let the pro’s handle it! Looking for inspiration? 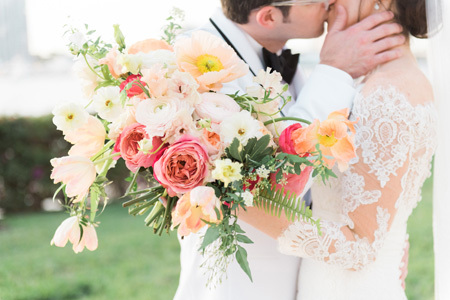 Check out a few of our favorite bouquet trends! We definitely saved in flowers and did our own through Trader Joe’s and Whole Foods.—Catie W.
If you’ve got a crew of family and friends willing to help, you can totally pull off your own centerpieces! Be sure to do a test run, and make sure your team is committed—this isn’t a DIY for the bride. My mom, grandmother, and aunts made 25 (!) 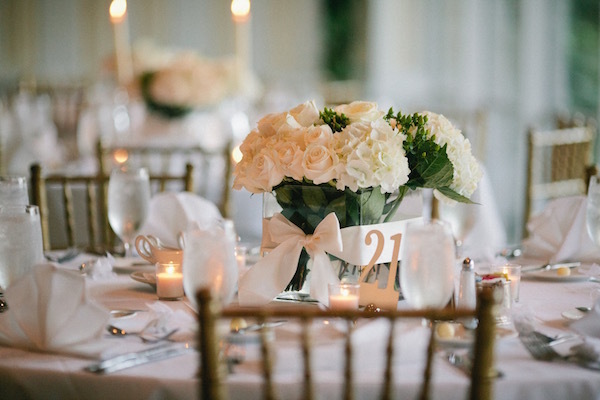 of these gorgeous centerpieces for our wedding reception! No matter how many checklists you create, details you plan, and Plan B’s you’ve got up your sleeve, something unexpected is guaranteed to happen on your wedding day. 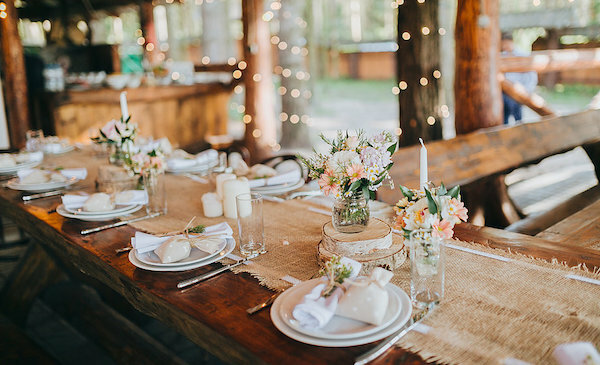 It’s worth the splurge to have a day-of wedding coordinator on the scene to manage the details and allow your family and friends to enjoy the day as spectators, not managers! A day-of coordinator can direct your ceremony and reception, handle wedding venue set up, and coordinate vendors. 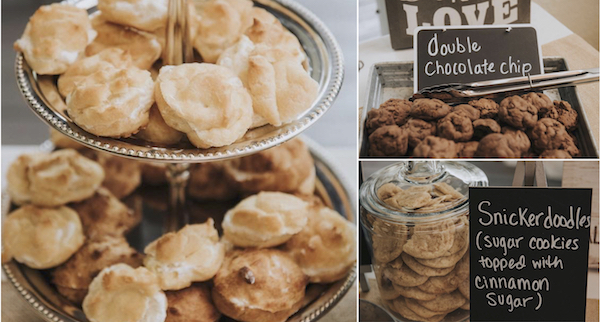 We saved on our cake/ dessert by having my mother in law make our cake and we baked cookies for a dessert bar. 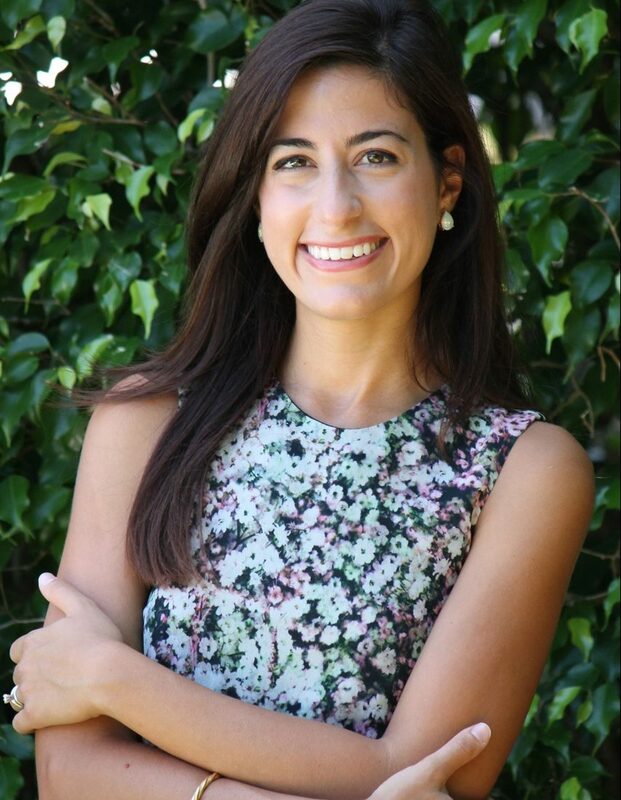 –Camile L.
Have your heart set on a professional wedding cake? 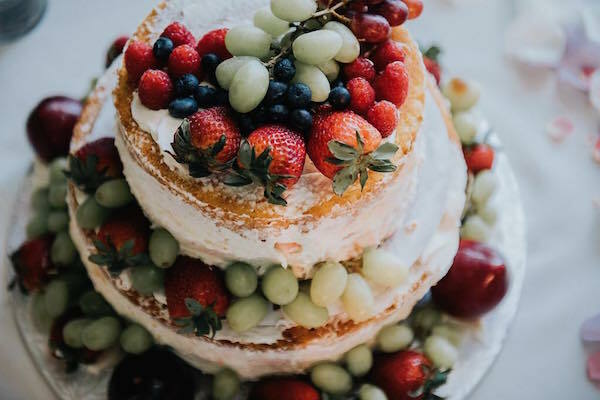 My friend Kelly has a brilliant idea for how you can get your wedding cake and eat it too—kind of! Have a smaller “show” cake and have sheet cakes to cut up and serve to guests in the back. It saved me hundreds for our 200-guest wedding! –Kelly I. Music can literally make or break your reception. Splurge on a DJ or band with glowing personal recommendations. I recommend asking that photographer you splurged on for their personal favorites—they’ve attended tons of weddings in your area and seen the best (and worst) out there! I want the atmosphere to be interactive and unique. We value musicians and believe it will create a unique and memorable experience from start to finish with live musicians. –Kara S.
I really love beautiful letterpress invites, but I know very few people actually save the invite, and I eventually prioritized other stuff. –Gayle L.
If you’re not ready to ditch letterpress and calligraphy all together, save by combining your wedding info into one piece of stationary (no reception card), skipping an inner envelope, and having guests RSVP online instead of including an RSVP card with postage. 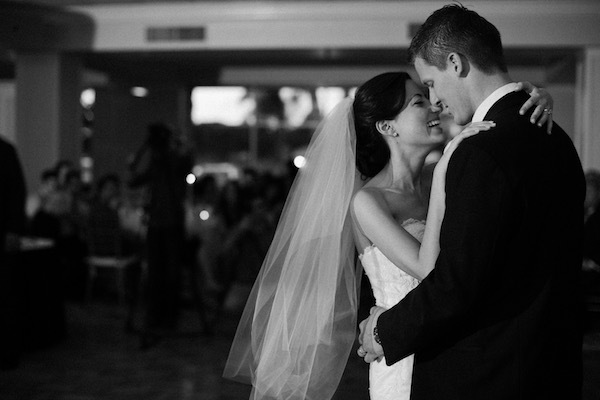 -Written by Christina Peterson, who loved every minute of being a bride!